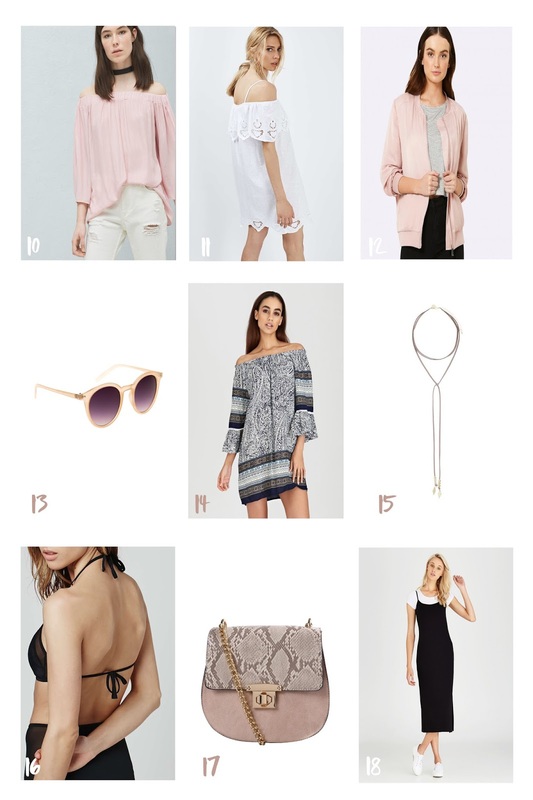 As summer is just around the corner here, I've been busy adding new items to my wardrobe as well as my makeup stash that I think will transition well into summer and be perfect throughout the whole season. My current favourite colour scheme mostly includes neutrals and soft tones, I'm also crushing hard on anything in blush tones. I never thought I would be a pink sort of girl but I find myself constantly wanting to buy everything in the colour! I'm also finding myself wanting to add a few bold colours like burgundy and deep blue. Let me tell you online shopping is a dangerous thing, but fun nonetheless. So have a scroll through all my top picks, and let me know what you'll be treating yourself too. 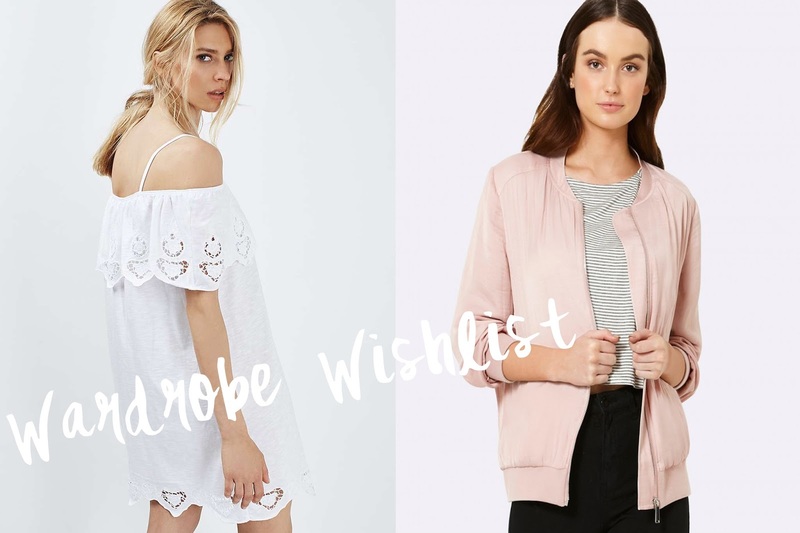 2 comments on "Summer Wardrobe Wishlist"
Fantastic post babe! Some really beautiful pieces.